Our Hair Design program gives you the ability to get straight to the point and specialize in your passion, hair! This fast paced program offers a shorter over all time of completion, eliminating our Esthiology and Nail programs and allows you to focus on hair. The Hair Design program provides theoretical and hands-on instruction in haircutting, color, chemical texturizing, business development, artistry in hairstyling and educating your guests in product knowledge. *Available at BOTH campus locations. 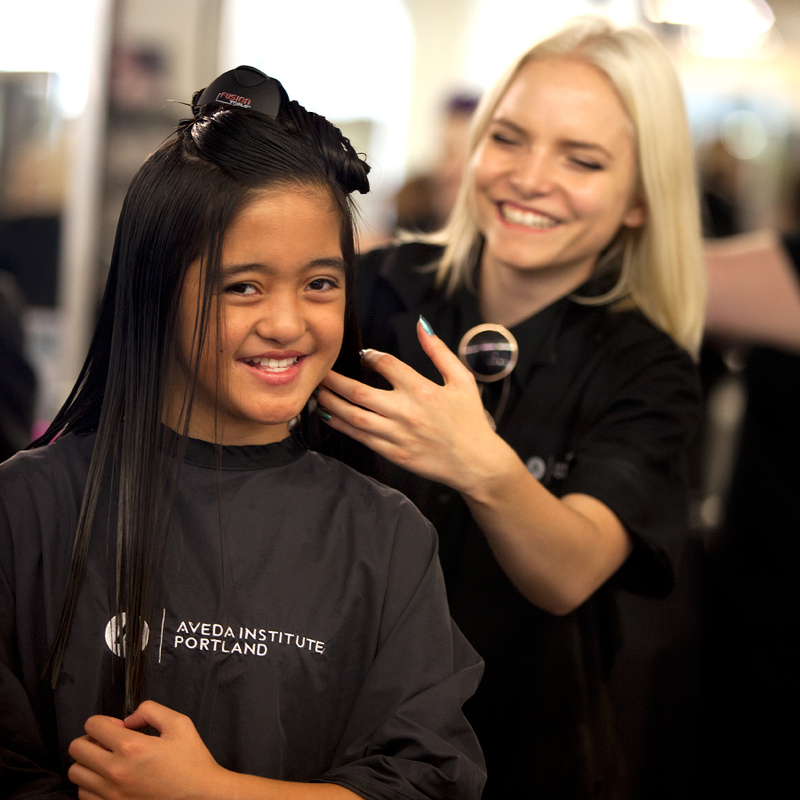 Cutting: Students will study and perform 16 Aveda Certified haircuts during this phase. You will not only acquire a comprehensive understanding of the ergonomics behind great hair design, but you will also be introduced to the Aveda Service Cycle which will carry you through your career. Chemicals: During this phase, students study Aveda color formulation and a range of chemical services. In conjunction with a strong emphasis on both color theory and chemical services, you will learn how to combine haircutting, chemical services, and color skills to create full-service results for guests. Styling: This phase culminates in a photo shoot which will feature the styling skills you learn in this phase. You will be provided with a professional image which can be added to your portfolio. You will also receive Aveda Product knowledge during this phase. Business: Students will become familiar with a variety of business-building topics to assist them in their Cosmetology and Esthiology careers. Topics include: personal finance, industry pay scales, resume building, interview skills, and how to find the salon or spa you will begin your career after graduation. Final Phase: During the final phase of the Cosmetology Program, students will be fully immersed in a salon-like experience, while being instructed and inspired by our licensed educational staff. In the student's final phase, they will further hone the skills they've aquired during their education at Aveda Institute Portland.